Celebrating the College Club's 85th Anniversary! Save the Date! Our Spring Scholarship Fundraising Luncheon will be held on April 29, 2018 at Plainfield Country Club. Tickets are $50 each and are available from any College Club member, or email us at Collegeclub.fsp@gmail.com and we will get tickets to you. There will be also be a 50/50 Cash Raffle, Basket Raffles, Silent Auction, and a raffle for a $500 Shop Rite Gift Card! Don't miss this fun-filled event AND the chance to support our scholarship fund! 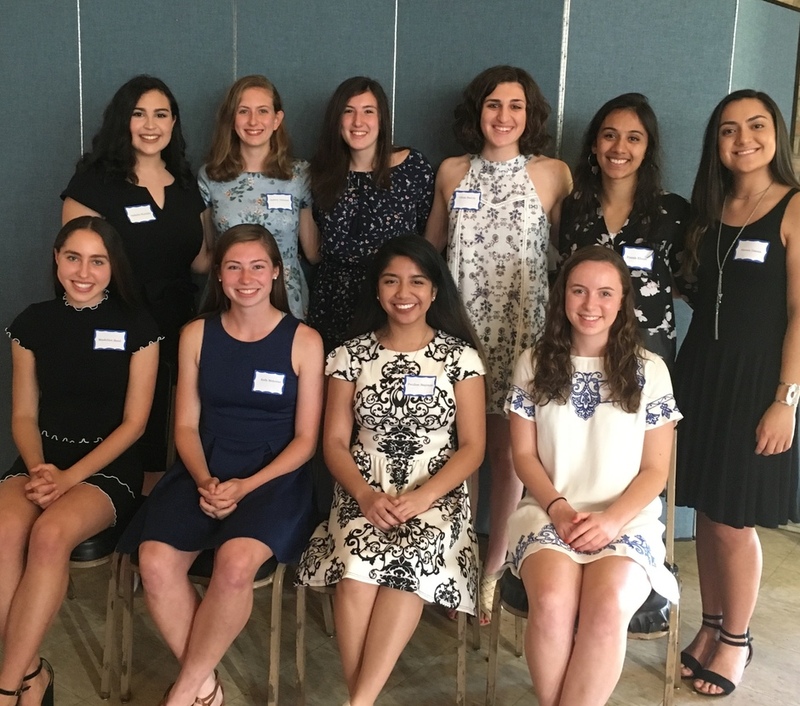 Plainfield Country Club, located at 1591 Woodland Ave, Edison, NJ 08820 has a delicious luncheon planned for us in the ballroom, and we always have a delicious signature drink, with part of the proceeds supporting our scholarships! There are adjoining rooms for the Cocktail hour, Select-A-Gift Basket Raffle, Raffle for a $500 Gift Card to Shop Rite, and a 50/50 Raffle. The Silent Auction will be displayed in the ballroom near the floor to ceiling windows overlooking the golf course. Tickets are still $50 per person and can be obtained by emailing collegeclub.fsp@gmail.com. Cash and Checks are accepted. We cannot accept credit card payments. Tables seat 10 persons and can be reserved by payment of at least one-half of the tickets at the table. You should reserve as soon as possible to get your choice of tables. A cash bar will also be available with our 'signature' drink. Please notify us of any dietary restrictions when reserving. Please get your tickets early, and support our scholarships to local high school and college women! Please purchase your yearly calendars from any club member, or at Norman's in Fanwood Center. Calendars are $10 each, and contain all of the important community dates, handy information about local businesses and organizations. All proceeds support our scholarship recipients. College club participates in twice yearly 'Shop Smart Do Good' days at Lord & Taylor in Westfield. Tickets (needed to enter the store and shop on these specific days) are $5. For your $5 you receive several coupons. Remember to turn in our stub at the store entrance when you shop to help College Club receive maximum returns! The ticket money all remains with the club. A portion of the profits from the day are also returned to the club. See Ginger Rachko for tickets to the next shopping day. When you shop at smile.amazon.com a percentage of your online purchase goes to College Club of Fanwood Scotch Plains. Go to smile.amazon.com, and Amazon will ask you to select a charity. A portion of the price of any eligible AmazonSmile purchases you make through the site will be donated to the charity you select. We hope that you will do this and choose College Club of Fanwood Scotch Plains as YOUR charity recipient! The AmazonSmile site looks and feels exactly like Amazon’s main site, listing the same products as Amazon at the same prices. Basically every physical product is eligible for the AmazonSmile program. Amazon’s subscribe-and-save subscription program and digital media items such as Kindle e-books are ineligible. Share on Facebook or Twitter, and encourage your friends to shop at AmazonSmile as well. Everyone can help by choosing College Club!